HILO, HAWAII (HawaiiNewsNow) - Hilo firefighters responded to a house fire just after 8 a.m. Saturday. The fire broke out at a home on Ohai Street. Upon arrival, fire officials said flames were coming out of all visible windows. 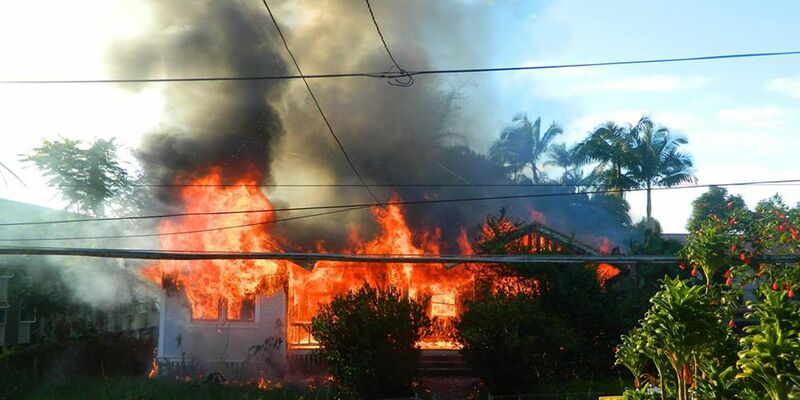 Photos in to Hawaii News Now shows the house completely engulfed in flames. It took firefighters all morning to fully extinguish the flames. The fire was out by 12:30 p.m.
No one was home at the time, the American Red Cross is assisting residents of the home as needed. The home was built in 1938 and there is no word on what caused the fire.